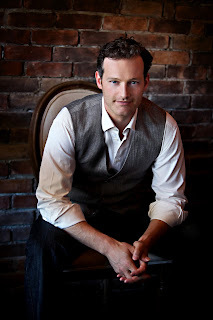 Ken Lavigne has charmed his way into the hearts of concert-goers across North America with his exciting blend of classical tenor sound and modern style. A founding member of The Canadian Tenors and co-founder of the tenor trio ROMANZA, he has been touring and recording solo since 2008. Since performing at Carnegie Hall in 2009, Lavigne has worked extensively with famed LA producer David Foster and performed for Prince Charles. Now Ken is celebrating the holidays and bringing his popular Ken Lavigne Christmas Radio Road Show to Horizon Stage in Spruce Grove on Saturday, December 10 for two performances: 2 p.m. and 7:30 p.m.
Music, merriment and magic will fill the air at the Christmas Radio Road Show as Ken takes a loving look back to the great radio shows of old. 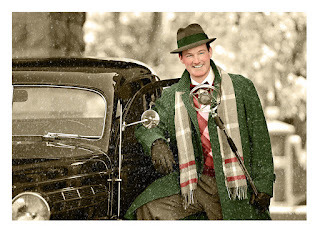 You will be transported with this nostalgic and enchanting musical tour through the 1940s and golden age of radio with Ken's band and special guests Alison MacDonald and Daniel James White. Audiences will enjoy traditional and modern Christmas tunes like “What Child Is This”, “Baby, It’s Cold Outside”, “Christmas in Killarney” and many more favourites, bringing you the best from Bing Crosby to Andrea Bocelli! Let Ken’s luscious, silken honey tenor vocals and hilarious stories fill you with the joy and spirit of the holiday season! Embrace the magic and add a little “Fa la la la la” to your life; come and see The Ken Lavigne Christmas Radio Road Show at Horizon Stage on Saturday, December 10. A limited number of seats are available for the 7:30 p.m. performances but there is still an excellent selection for the 2 p.m. matinee. Tickets are $40 for adults and $35 for students and seniors and may be purchased at the City Hall Ticket Centre (315 Jespersen Ave), by phone at 780-962-8995 or 1-888-655-9090, and online at ticketpro.ca.